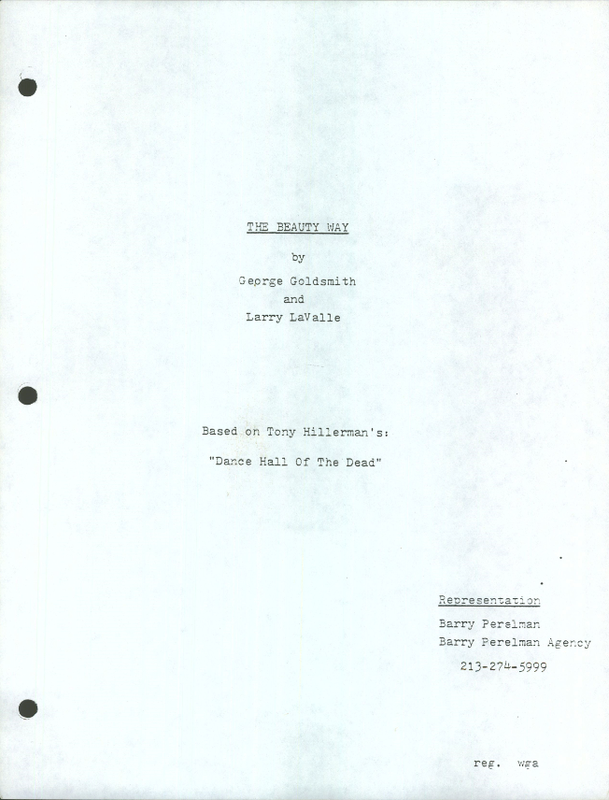 Dance Hall of the Dead, Screenplay by George Goldsmith and Larry LaValle, 1984. This is a motion picture screenplay based on Dance Hall of the Dead, written by George Goldsmith and Larry LaValle. This document is not available online at this time. Researchers can visit the Center for Southwest Research at the University of New Mexico and ask to view Box 2, Folder 7 from the Tony Hillerman Collection to view this screenplay.